What are some of the major dinosaurs that lived during the Jurassic period? There were two groups of dinosaurs during the Jurassic: the saurischians (reptile or lizard-hipped), divided into the sauropods (herbivores) and theropods (carnivores); and the ornithischians (bird-hipped), such as the stegosaurs, ankylosaurs, and ornithopods. This latter group were all herbivores. 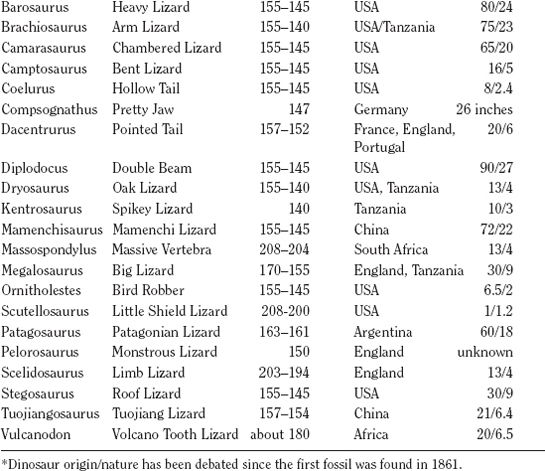 The following table lists some of the dinosaurs that lived during the Jurassic. New fossil finds are occurring all the time and the list will subsequently grow.